Everyone better suit up because it’s getting crazy out here. The Kardashians have had, yet again, another internet-breaking scandal. But this time, it wasn’t their fault. 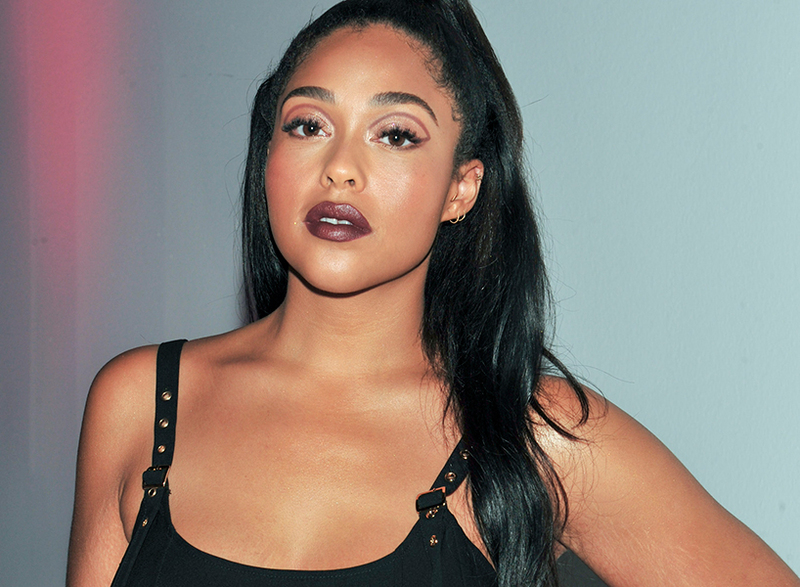 Best friend and practically sixth Kardashian sister, Jordyn Woods, has been publicly shamed and ostracized amid stories of her getting a little to close and comfortable with Khloe’s baby daddy and known philanderer, Tristan Thompson. The (real) Kardashian sisters started an all-around “Jordyn Woods Detox,” where they wiped any trace of Woods from Khloe’s “Good American” fashion line—where she had expanded her modeling career—from her collab with Kylie Cosmetics, and even from Kylie’s house. I’m sure Tiger Woods feels a whole lot better now that the cheating allegations have been placed upon a different “Woods”. We are burning up for you Nick, Joe, and yes, even you, Kevin. In response to the reunion of the Jonas Brothers, there has been an outpour of adult women, including myself, reverting back to their pre-teen ways. The Jonas Brothers didn’t want to make their reappearance a quiet affair. They dropped their new song “Sucker” with an absolutely boujee and over-the-top music video to go with it. The song shot up to the No. 1 single on iTunes, and their music video is the No. 1 trending video on YouTube. Officially making their reunion public on March 1, the JoBros hinted at an upcoming “Jonas Brothers Week” on “The Late Late Show with James Corden”. If the “Camp Rock” stars were here to make waves, they certainly got what asked for. Don’t mind me though, I’ll just be at Target buying the newest TigerBeat magazine wearing my Aeropostale shirt with twelve tank tops underneath and my jean skirt over colored leggings. It is just so not the Kardashian’s week. Amid the Khloe-Tristan-Jordyn cheating scandal that has been shaking the internet these past couple days, Kylie Jenner has been questioning her own relationship with rapper Travis Scott. If we jump back to December 2018, Scott and Jenner were the victims of a cheating hoax involving a balcony, a scantily-clad woman, and a Travis doppelganger. Coming back to the present, this one ain’t no hoax. After checking his phone, there seemed to be some indication of his infidelity, and fueled by the Khloe and Tristan drama, Kylie was already in a suspicious state of mind. If it’s true or if it’s not, the Kardashian name has been in everyone’s mouths these past two weeks. What’s that saying that’s been floating around the meme culture of the internet: “The Devil works hard, but Kris Jenner works harder”.